Oemeta has developed specialist cleaners for intermediate parts cleaning and the daily cleaning of machine tools. 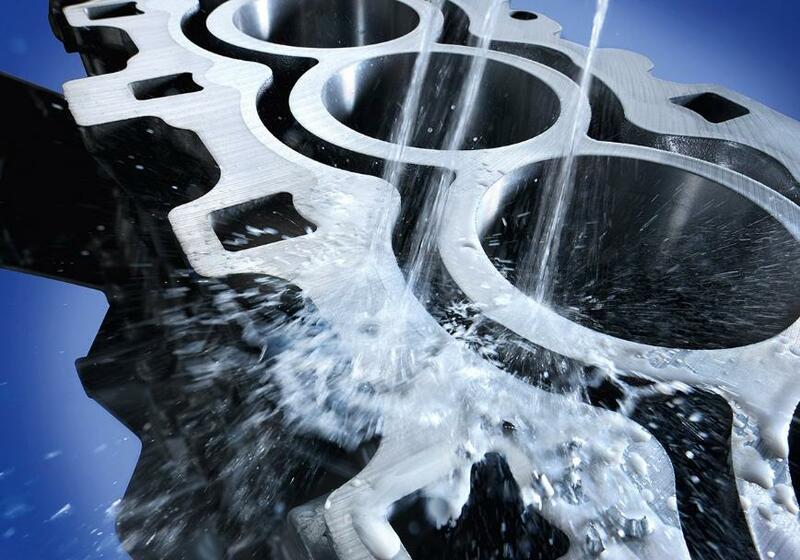 In line with its boron-free coolants, cleaners have been developed for intermediate cleaning of parts that are completely compatible with all Oemeta metalworking lubricant emulsions. True to the principle of sustainability, used lubricants and cleaners do not necessarily have to be disposed of expensively, but can be used for other processes. Normally, the washing solutions used for intermediate cleaning become saturated over time with metalworking lubricant and have to be replaced. When used washing solution is fed back into the coolant cycle, disposal costs are dramatically reduced. In addition, this process reduces the replenishment frequency of metalworking lubricant. This is not true of conventional, alkaline cleaners as essential properties of the metalworking lubricant (e.g. its foaming characteristics) may deteriorate. In the worst case, the entry of foreign substances may even lead to emulsion separation. 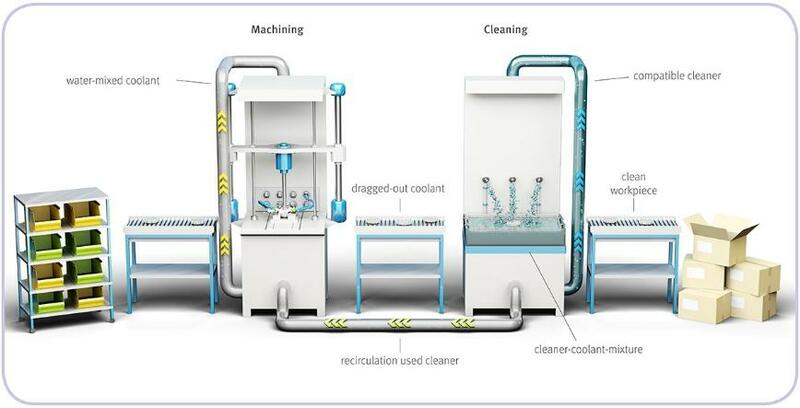 Next to these cleaners, Oemeta also offers cleaners that are specifically designed to simplify the daily cleaning of machine tools that run on coolant emulsions or oil free coolants. Besides the superior cleaning effect the product is 100% compatible with any coolant from Oemeta. Thus any negative impact of the cleaner to the fluid (splitting, foaming, odour, etc.) is eliminated. Additionally, the cleaners contain highly efficient corrosion inhibitors that ensure temporary protection for cleaned and degreased parts.